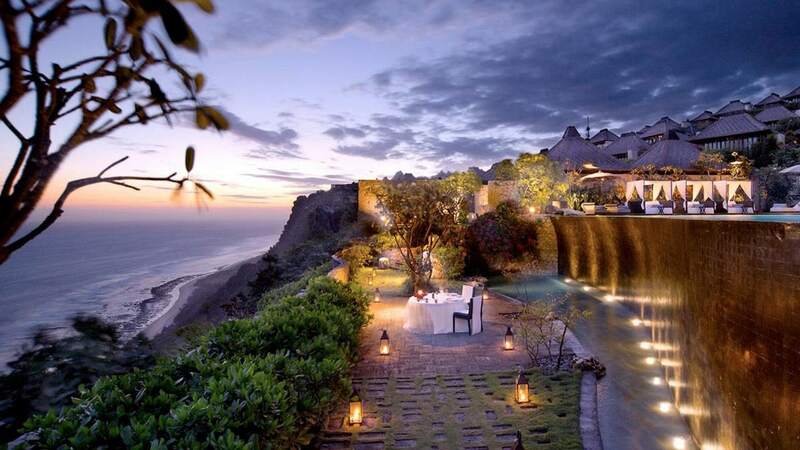 For honeymoon destinations, you can’t do much better than Bali. 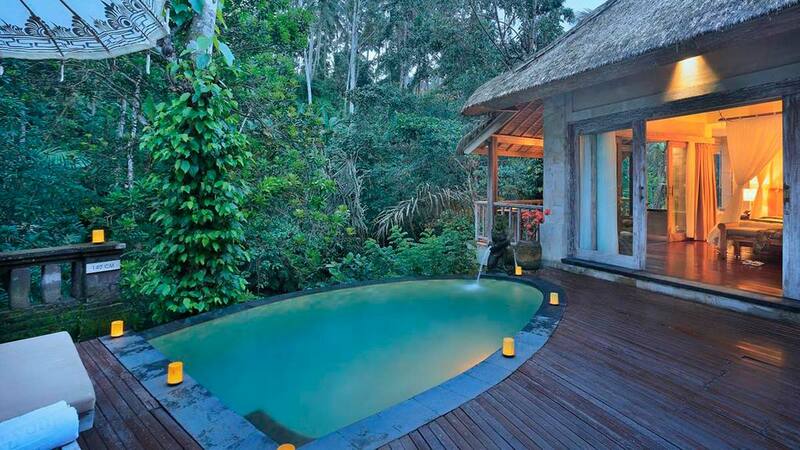 So for our own honeymoon in fact, that’s where we decided to go. 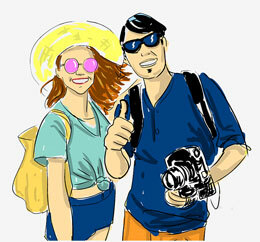 For those who are new to us we are travel bloggers who have traveled to 70+ countries. 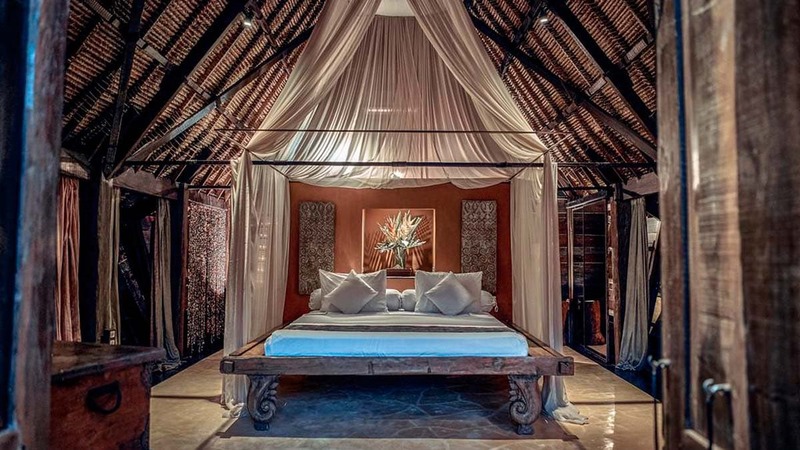 And since we were researching for our own honeymoon, you can be assured that we trawled through all honeymoon hotels in Bali, eventually compiling a selection of the hotels and villas on the island that deliver in terms of ambience, vibe, service, and location. 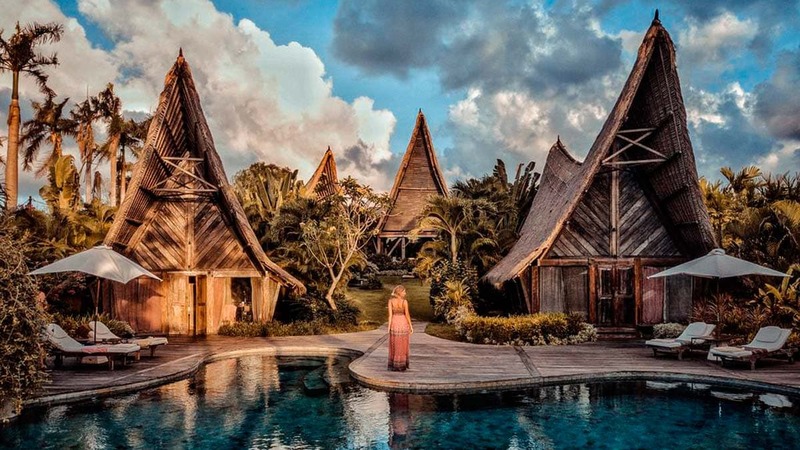 There are so many paradisical hotel choises that staying in a random place would mean missing a major highlight of Bali. 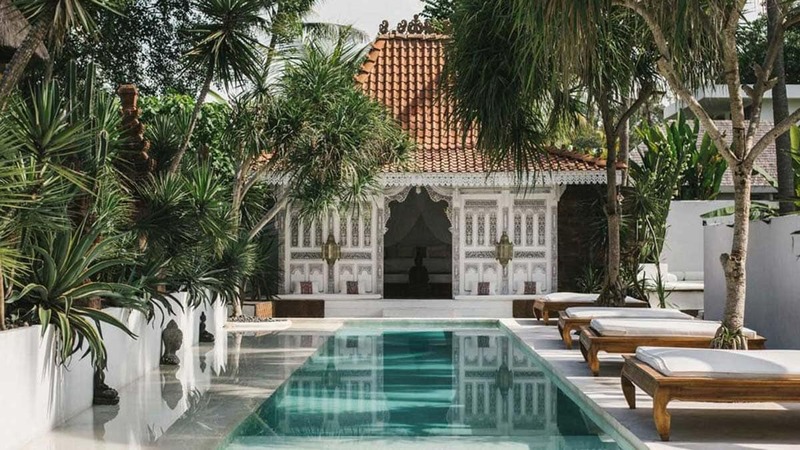 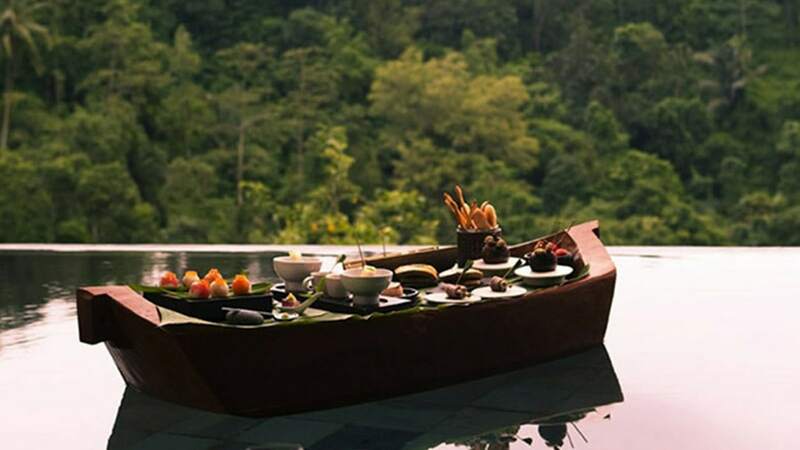 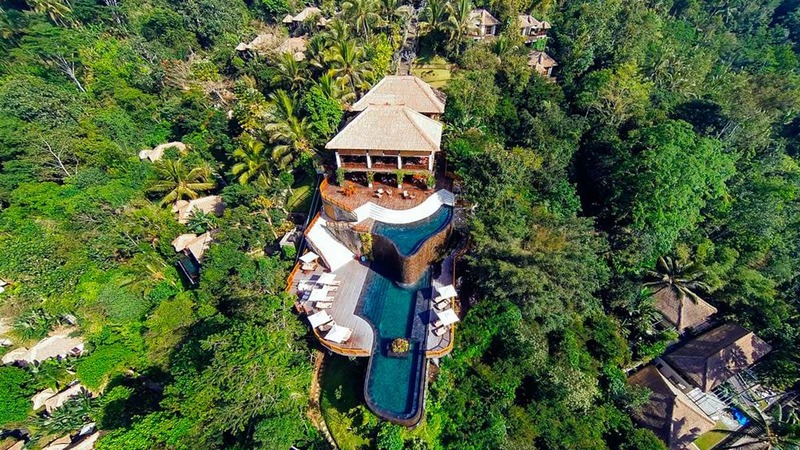 Almost all the honeymoon hotels in Bali we discovered were equipped with their own infinity pools, floating breakfast trays, and legendary spas overlooking lush, tropical forests – meaning that solving the dilemna of choosing where to stay is a task in itself. 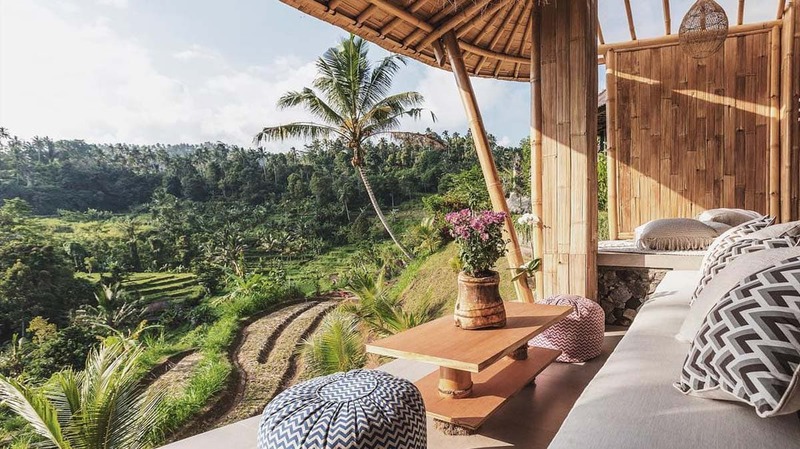 Before you confirm anything, make sure you check out our article, Everything About Bali – Budget & Travel & Honeymoon Info. 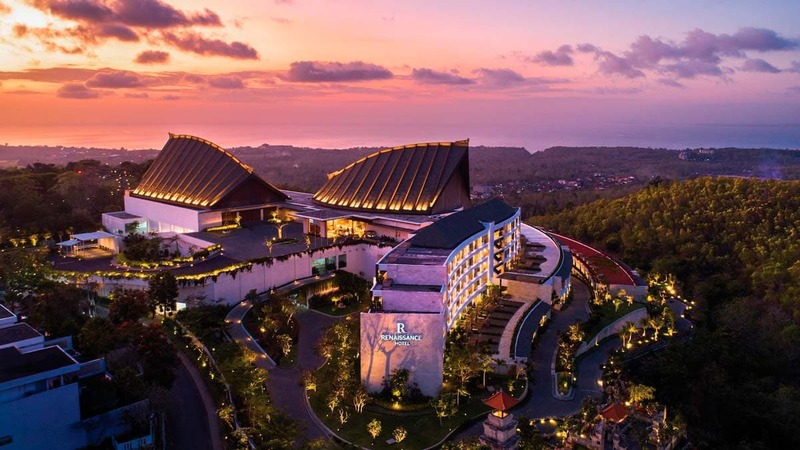 This article is jam-packed with where to go, how long to spend, what to look out for, and dozens of other tidbits to keep in mind to get the most out of your visit. 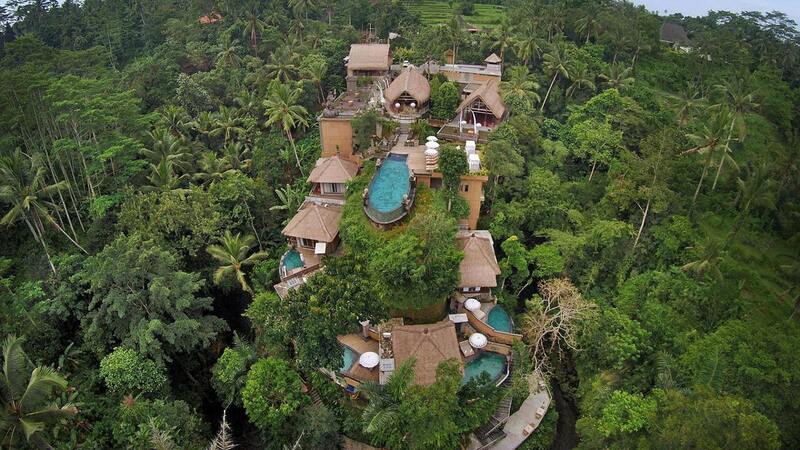 That’s fine, many come to Bali only to experience the luxury of staying at these incredible hotels. 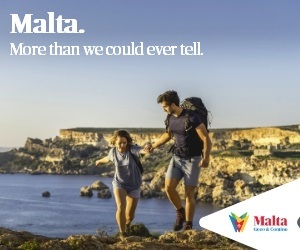 So if you want to treat yourself, then you’ve come to the right place, as we have a number of places to recommend. 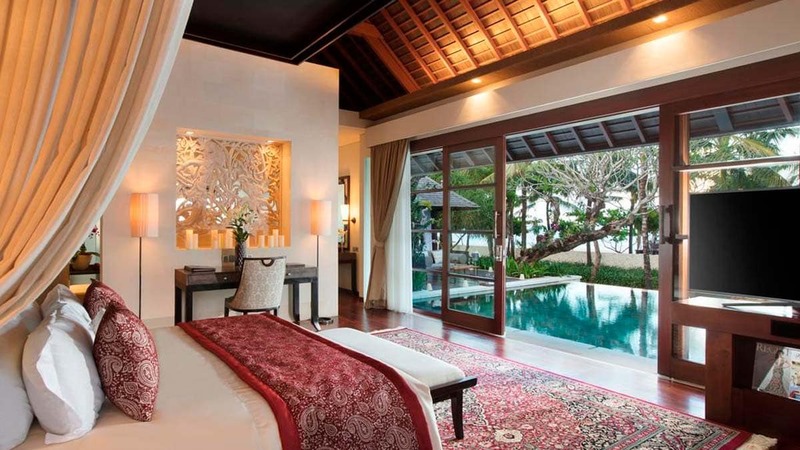 Staying in a top hotel in each city over your stay will probably stretch your wallet a little too far. 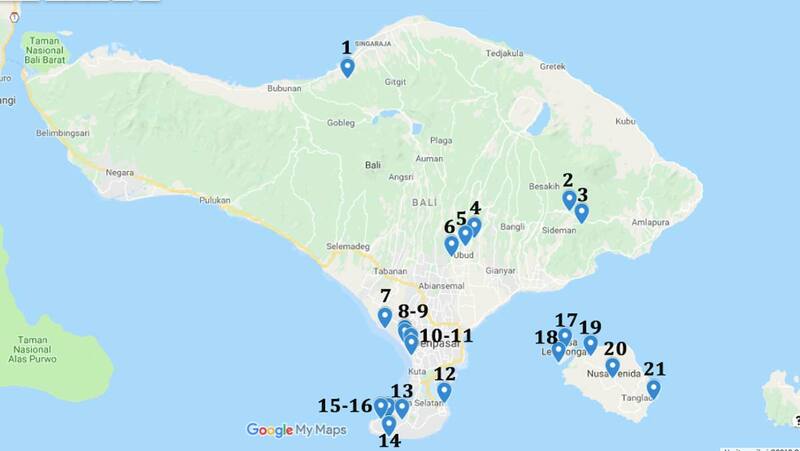 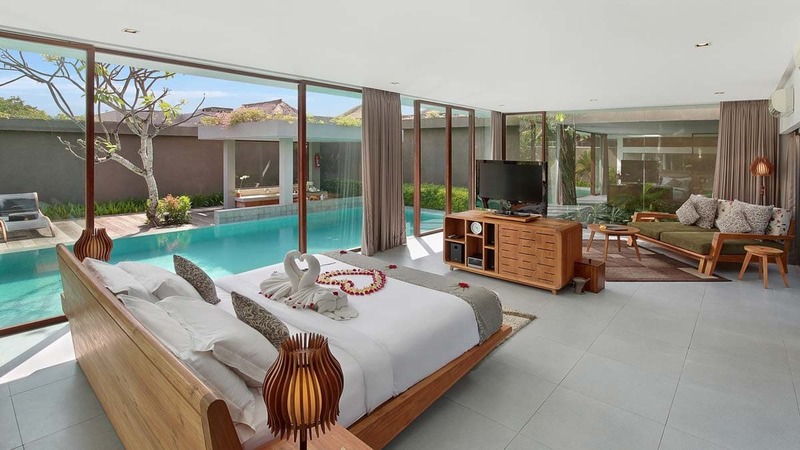 So if you don’t have the budget to hop between honeymoon hotels in Bali, we advise selecting one or two hotels from this list, and interspersing your stay with more affordable accommodation. 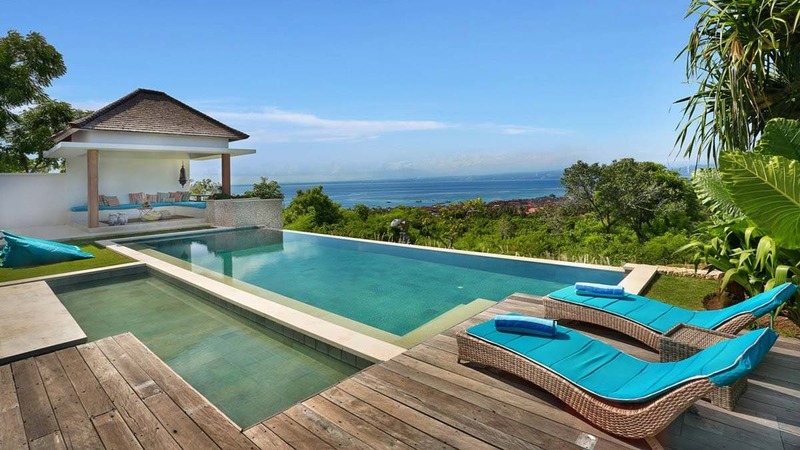 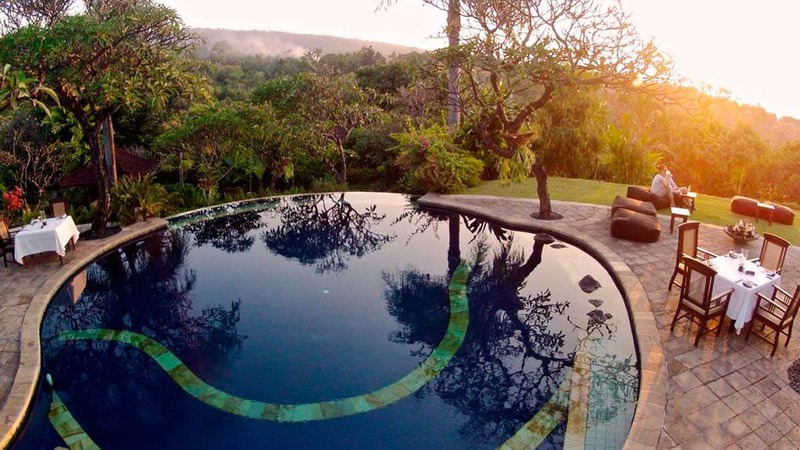 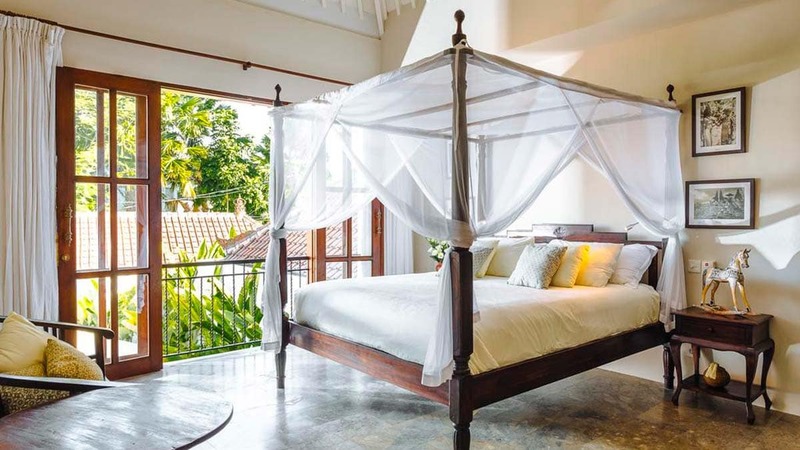 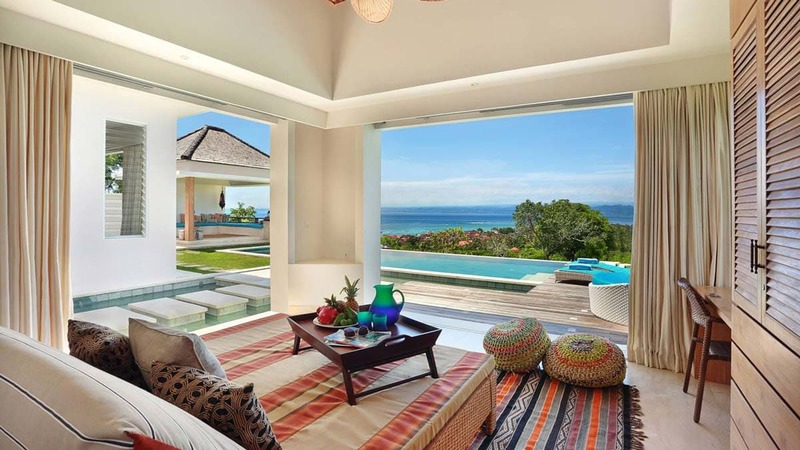 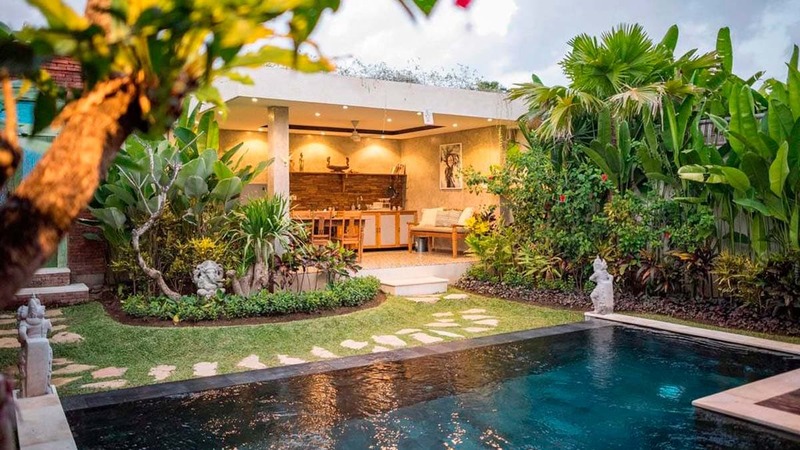 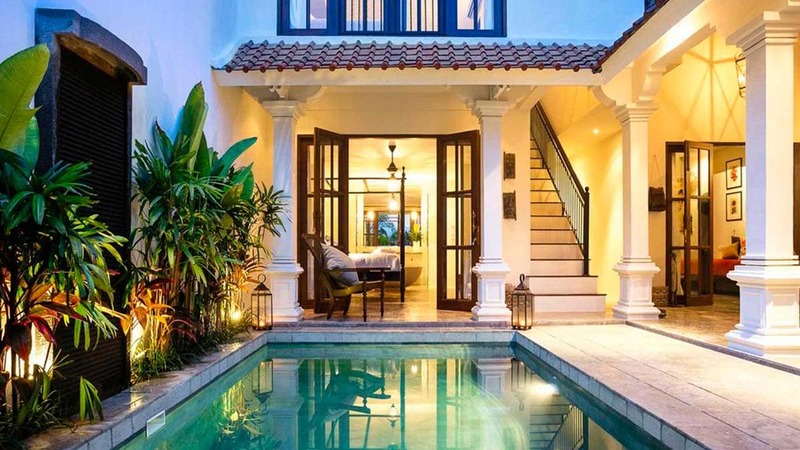 Click on the links below to check out the best decently-priced options in each of Bali’s cities. 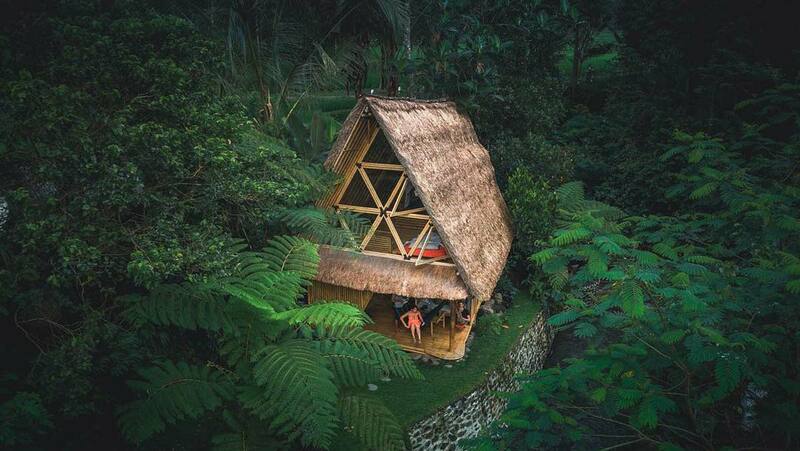 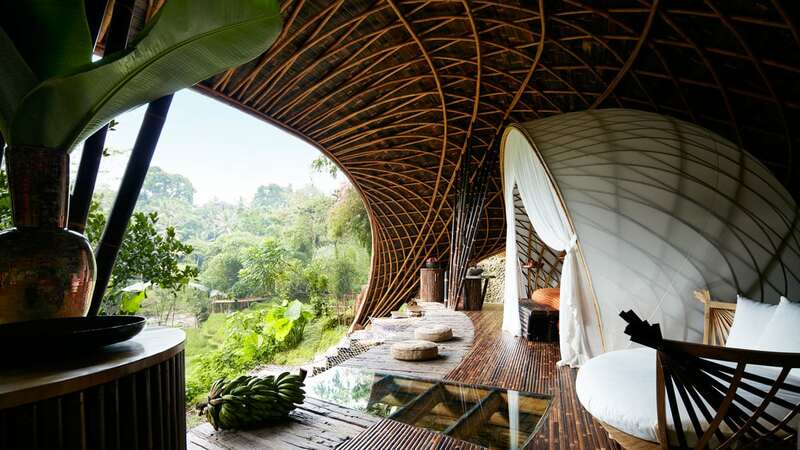 How would you like to awaken in an enchanting bamboo home, rising to the sight of rice paddies stretching out to the horizon, completely alone, surrounded by nature? 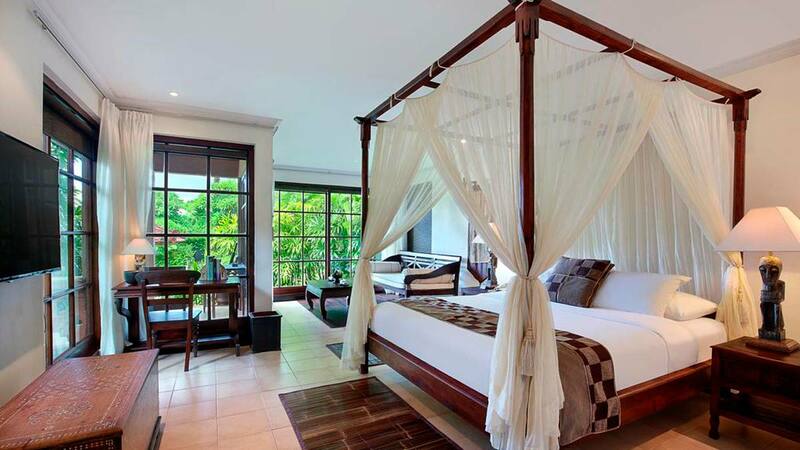 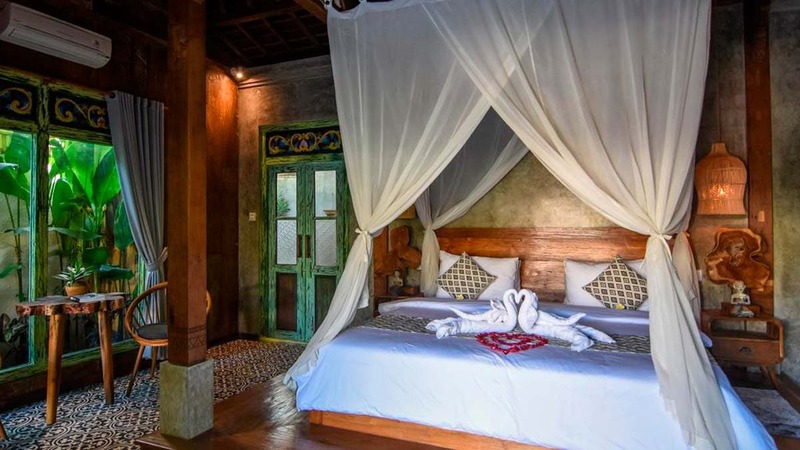 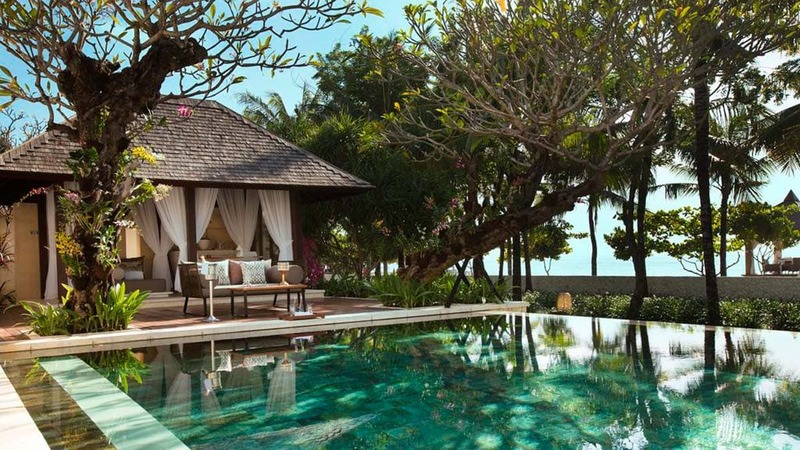 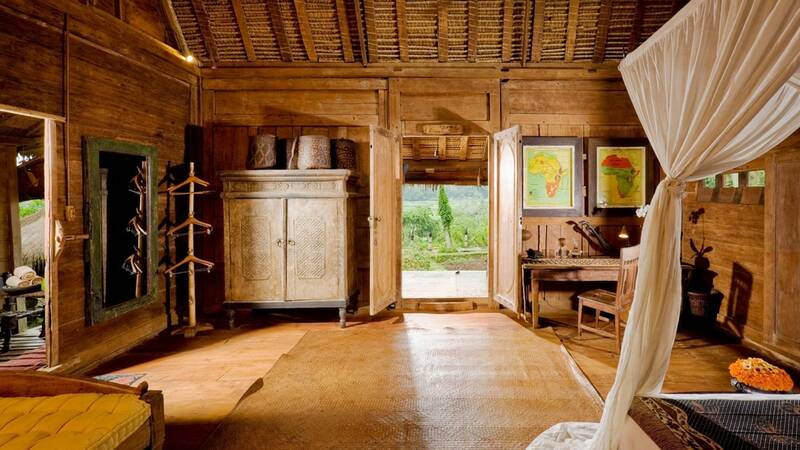 Honeymoon hotels in Bali don’t come much cosier than this. 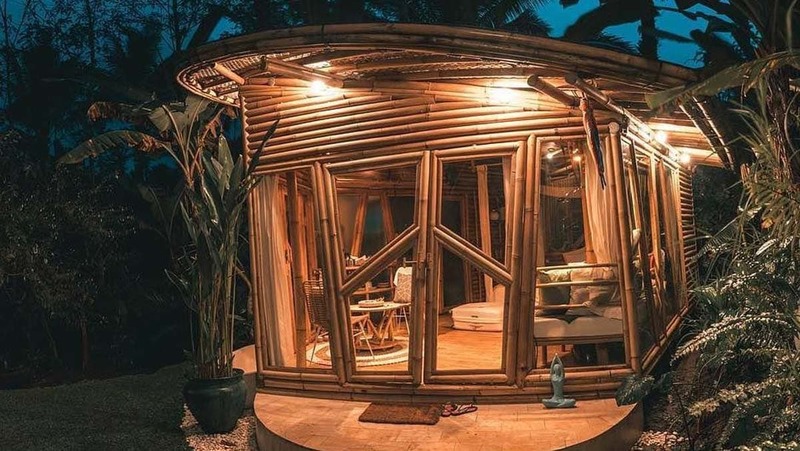 The complex features just two bamboo homes available. 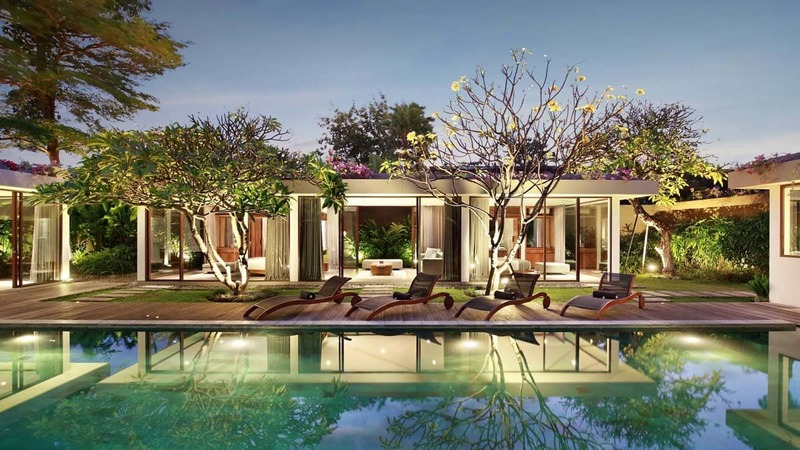 The first, Suboya, can easily accommodate four people. 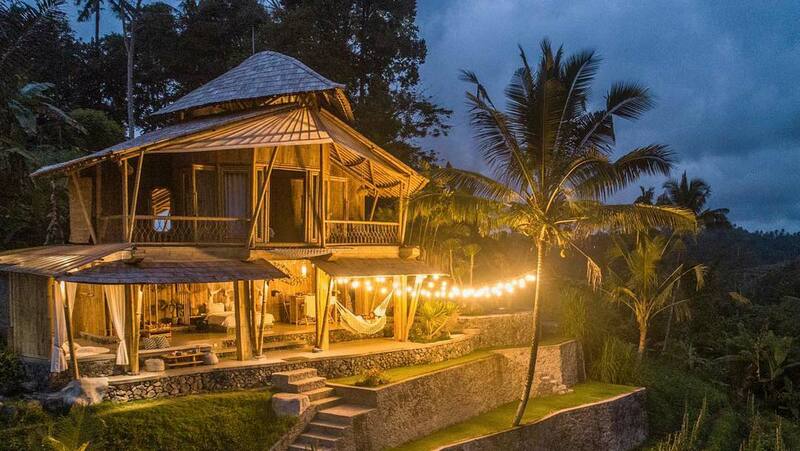 Nirvana, meanwhile, is cosy enough for two. 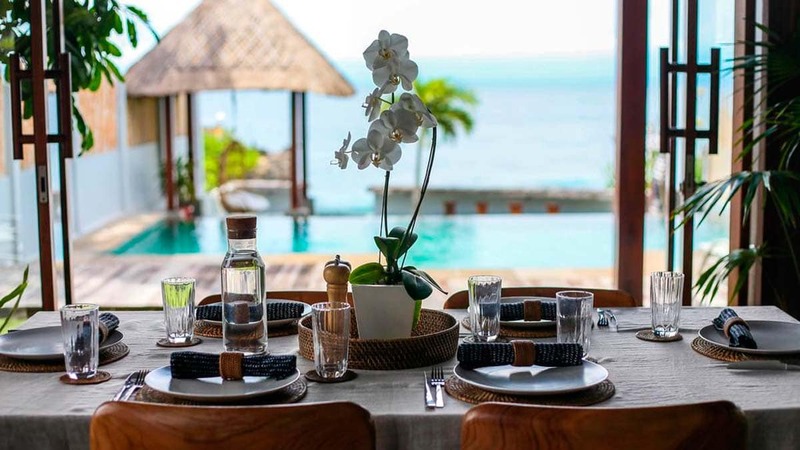 There are no restaurants in easy reach, but if you wish, you can organize a catering service to deliver meals right to your home. 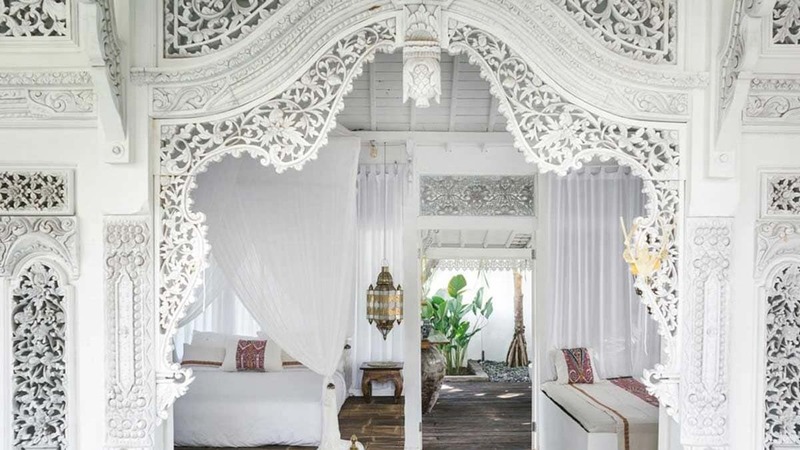 Details and Reservations. 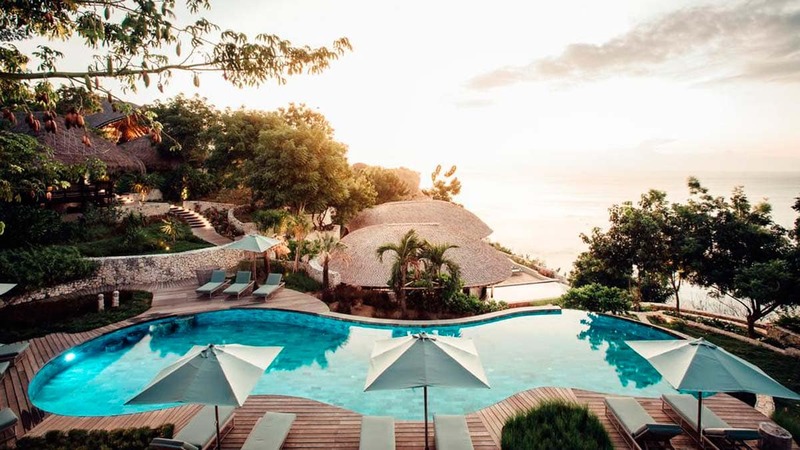 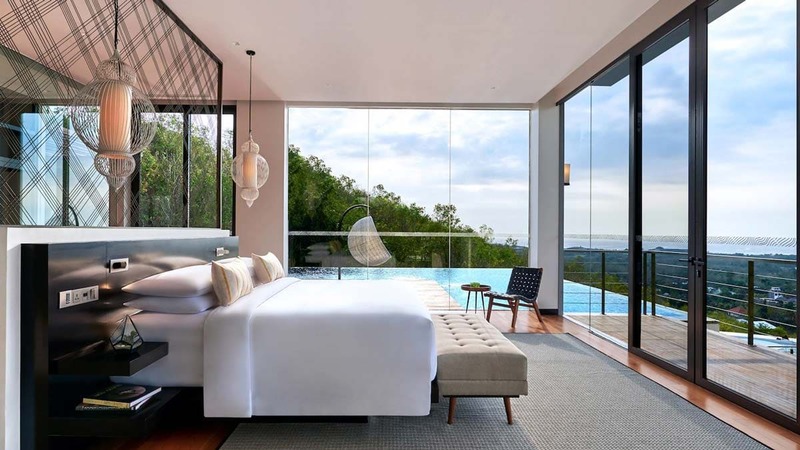 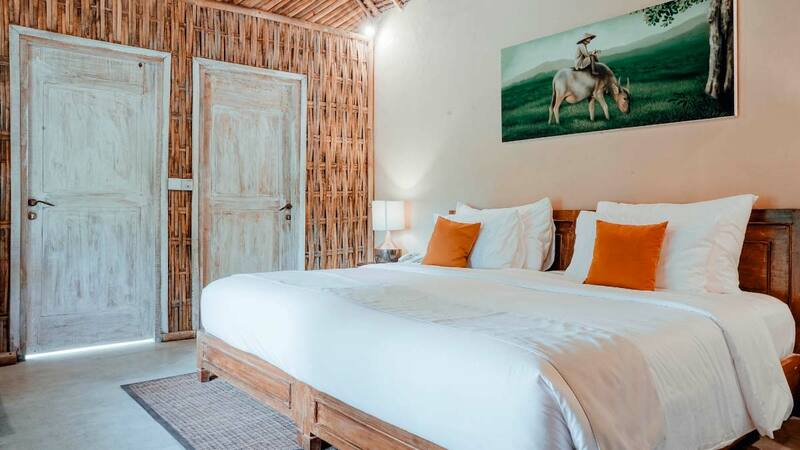 353 Degrees North is an incredible hillside hotel overlooking the ocean and volcano on Lembogan Island just a 15 minute walking distance from Mushroom Bay. 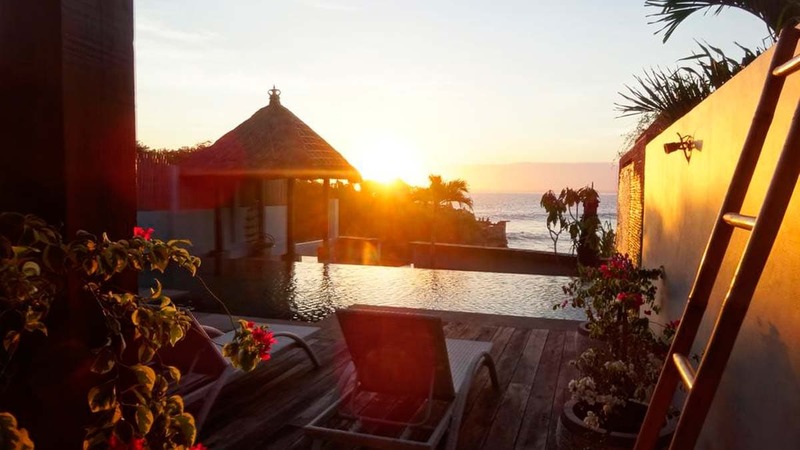 If you seek a calm, peaceful, and quiet setting for your choice of honeymoon hotels in Bali, then this is the place for you. 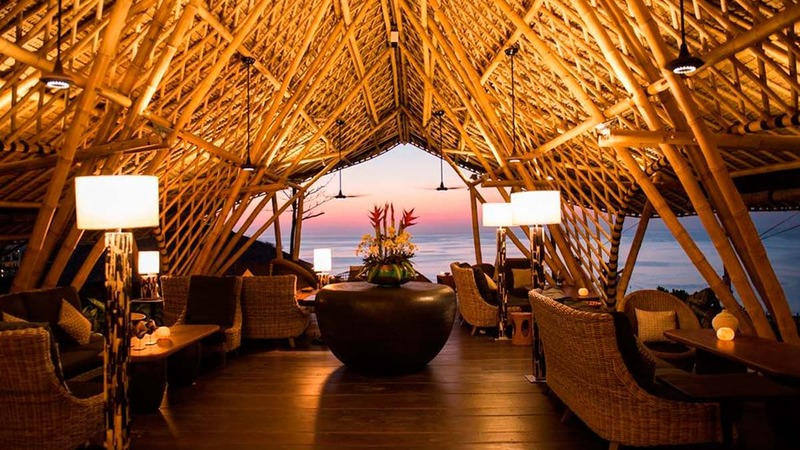 For an extra fee, airport pick-up and catering can be provided. 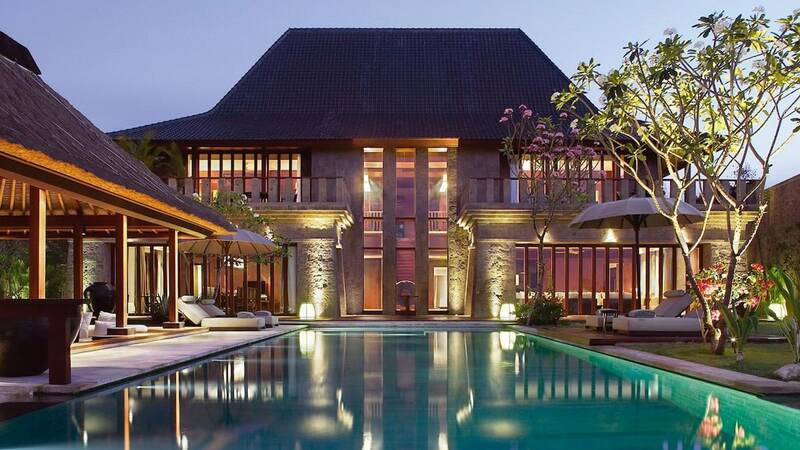 Details and Reservations. 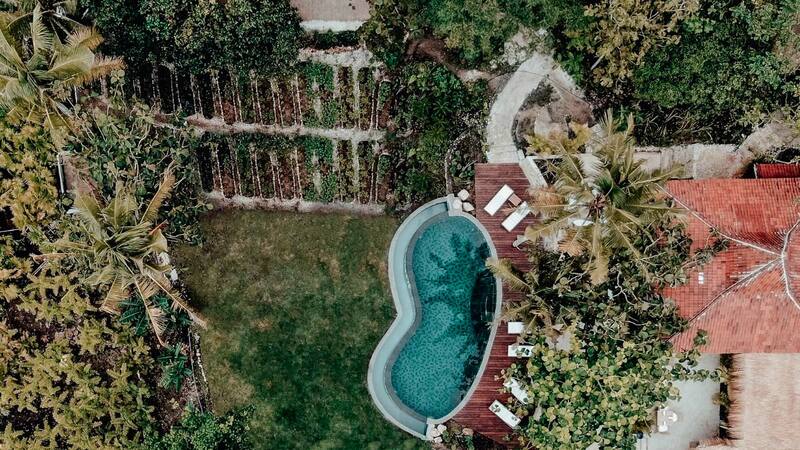 Click to check out the locations on GoogleMaps.